Have a 2019 F350 CCSW short box with a 4.5” Carli lift, long travel air bags, 37” toyo MTs. My ideal situation is to have a camper and tow my boat so I can camp and fish hundreds of miles away. Boat is a 27’ Grady White. Wondering with the SW and short bed if what I want is even possible. Don’t mind a small camper, but if so, what models and size should I be looking at? Saw a Lance on a short bed the other day and was impressed. Then there’s the whole issue of hitch extensions and how that would work with a camper and a boat. Anybody towing boats and have campers with single wheel trucks? Any advise or thoughts on the situation is appreciated! big campers with slides wheel be limmited where you take them off road compared to small pop up campers,You will need to investigate loaded camper weights [as example Our Articfox 811s fully loaded weighs 4500lb] compare to Your truck specs on driver side door frame Torklift makes a heavy duty receiver hitch called a Super Hitch & magnum super hitch & super truss in length options for different campers,there fast gun tie downs are very nice. Alaskapilot95, can you elaborate on the weight distribution you referred to. Is that an accessory or is it literally that, distributing the weight? I mean like the weight distribution hitch with the bars like this. It’s not bad to distribute the weight either. We kept only the necessities in our camper and put the rest in the trailer. A weight distributing hitch won’t work with surge brakes on a boat trailer, because it will interfere with the movement needed to activate the brakes. Maybe if the tongue of your trailer is long enough, you can get it to the truck without much of an extension, under the overhang of a short box camper without an auxiliary bumper. Oh sorry didn't catch that before. Wouldn't suggest the weight distribution then for your brake setup. I would get a camper that doesn't stick to far over the back of your truck then so you can still hitch the boat up to your regular receiver. It's better to start out with a smaller camper. 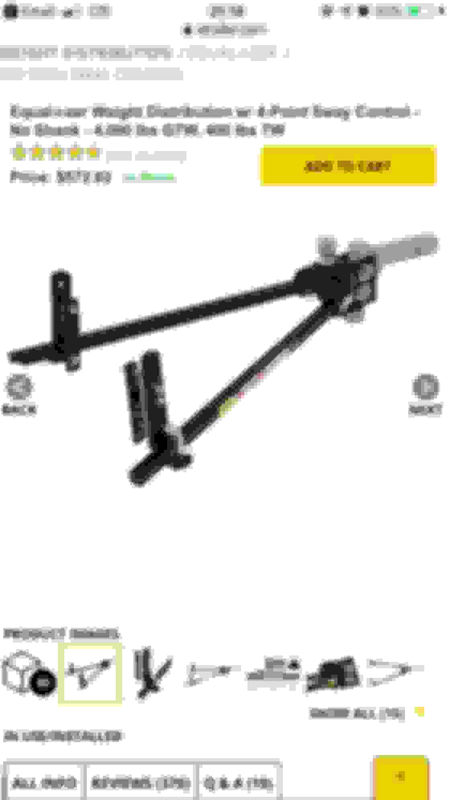 Less hitch extension problems and alot cheaper.